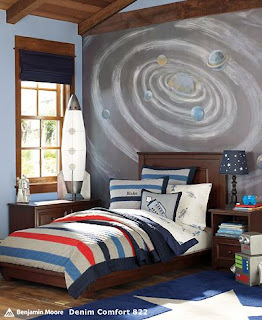 So, remember my post about C's big boy bedding?? We got the American League. And boy is it super stinkin cute! 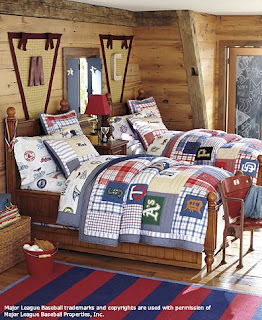 I love that classic quilt look. made my brain start a churning. 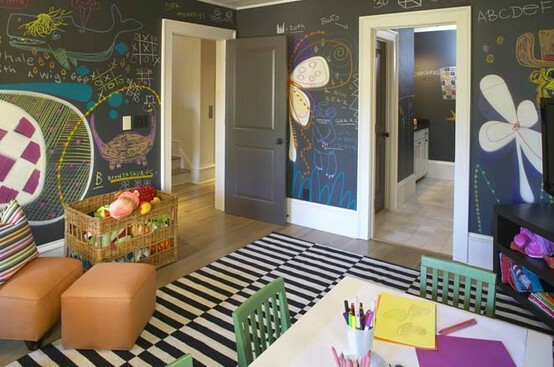 Its a chalkboard wall with a mural. 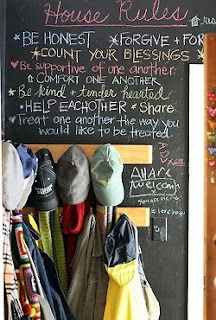 Look, I could write rules and morals on the wall to help him learn to be a nice sweet boy. 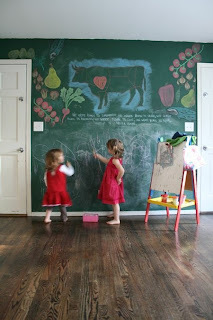 Or what I really want is to get one of hubs friends who is a fantastic drawer to come and make a mural. A baseball field in the background, with a big flag pole with a gigantic American flag waving in the wind, a baseball field with a gigantic score board saying the Rays are winning, a big screen with a pictures of the hubs and I kissing, some birds flying in the air, and in the stands people eating some popcorn and hamburgers. Sounds like a huge project. I would totally tackle it if I could even draw a half way decent stick figure. But I cant. But isn't it such a cute idea?! The only problem is I don't want him to decide one day that he is going to erase it. 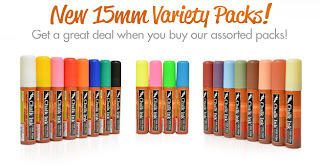 I think I would have to get some pens like these to make it look like chalk. They are perfect for the "I wanna look like I used chalk and spent hours one making this mural kinda affect when I really just used a colorful pen. I am totally going to have to get some and try em out. I am totally going to have to make a fun DIY post about this. Have you ever made a chalkboard wall? If so put your link in the comment section I would love to see it! Cute idea! I want one in a playroom some day.